Asset protection planning is a powerful way to provide additional value to your clients. - Protect your client’s assets from creditors, lawsuits, and divorcing spouses. - Protect client’s assets gifted to, or inherited by, a spouse, children, or other beneficiaries. If you have questions or would like help with an analysis of which clients would benefit, please call our office now. - Qualify a married client for Medicaid (while protecting an income stream for the benefit of the well spouse). Planning Tip: Although the federal and state governments jointly fund Medicaid, each state sets its own rules and guidelines for Medicaid eligibility and estate recovery. 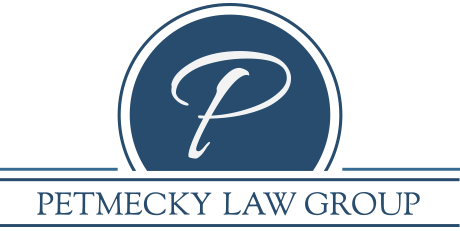 Therefore, a Medicaid Planning Trust must be tailored to the laws of the state where the married client lives. Trusts may also be subject to a look-back period (NOT “disqualification period”) of three or five years. Planning Tip: Lifetime QTIP Trusts offer a great deal of flexibility when planning for married couples with lopsided estates. During the less wealthy spouse’s lifetime, that spouse will receive all of the trust income and may be entitled to receive principal. If the less wealthy spouse dies first, then the assets remaining in the trust will be included his or her estate, thereby making use of the less wealthy spouse’s estate tax exemption. In addition, the remaining trust funds may continue in an asset-protected, lifetime trust for the surviving spouse’s benefit (subject to applicable state law), will be excluded from the surviving spouse’s estate when he or she later dies, and will ultimately be distributed to the wealthier spouse’s chosen heirs. SLATs became popular in 2012 when it was anticipated that we would go over the proverbial “fiscal cliff.” They still remain popular today as “estate freeze” and asset protection strategies. This trust is also referred to as a “Lifetime Bypass Trust” since it is funded with lifetime gifts that are held for the benefit of the client or the client’s spouse. As with a Bypass Trust created after the first spouse dies, distributions from a SLAT can be as broad or as limited as clients choose. Planning Tip: SLATs are useful in states that do not collect a state gift tax but collect a state estate tax and the state exemption is expected to remain significantly lower than the federal exemption (e.g., Maine, Massachusetts, Minnesota, New Jersey, Oregon, Vermont and Washington). The goal of a DAPT is to allow the client to fund the trust with his or her own property and maintain some degree of beneficial interest in the trust, yet have trust assets protected from the client’s creditors. Currently, 16 U.S. states permit the creation of DAPTs and the number will likely continue to grow, although laws vary widely from state to state. Planning Tip: The laws governing DAPTs are relatively new and still evolving. In addition, U.S. courts have been limited in interpreting them. And, under bankruptcy law, assets remain exposed to creditors’ claims for ten years. Nonetheless, a DAPT can be a powerful asset protection strategy for the right client. - Protecting life insurance proceeds for the benefit of the client’s heirs – Irrevocable Life Insurance Trusts (“ILITs”). - Protecting retirement accounts for the benefit of the client’s heirs – Standalone Retirement Trusts (“SRTs”). Aside from removing life insurance proceeds from the client’s estate for estate tax purposes, an ILIT is a powerful tool for leveraging generation-skipping planning and protecting insurance proceeds for the benefit of the client’s heirs. Planning Tip: Discussing the new Supreme Court ruling and retirement account vulnerability is an effective way to identify assets that are not yet under management, but need to be protected. A Discretionary Trust is an Irrevocable Trust that can be built into an ILIT and is an integral part of a Standalone Retirement Trust. Clients can also include Discretionary Trusts in their Revocable Living Trusts to protect other assets. Planning Tip: Clients who are concerned about heirs, or who are or may become spendthrifts, married to an overreaching spouse, bad at managing money, or in a high risk profession, should incorporate Discretionary Trusts into all of the testamentary trusts created in their estate plan. Even though asset protection trusts must be irrevocable to safeguard the trust property, they offer a great deal of flexibility for clients looking to protect their own property as well as property gifted to or inherited by loved ones. Since this type of planning can become complicated and should not be attempted without the assistance and counseling of an experienced attorney, we are here to answer your questions about trust-based asset protection strategies and advise your clients on options for planning. Please feel free to call our office now.